Learn about the design principles that make up apps on elementary OS. New apps get featured with a large, branded banner. Plus, trending and recently-updated apps are featured on the front page. Define your app's keywords, categories, and subcategories to help people find it. With built-in social media sharing and app URLs, users can easily share your app right from AppCenter. Fast, easy pay-what-you-want downloads from users of elementary OS. Powered by Stripe Connect ensuring simplicity, security, and compliance. No enrollment fees or subscription costs. Keep issue tracking & release management where you're familiar. Submit updates and see review status in AppCenter Dashboard. Track review feedback with GitHub Issues. Vala. A Modern, Fast, Open Source Language. 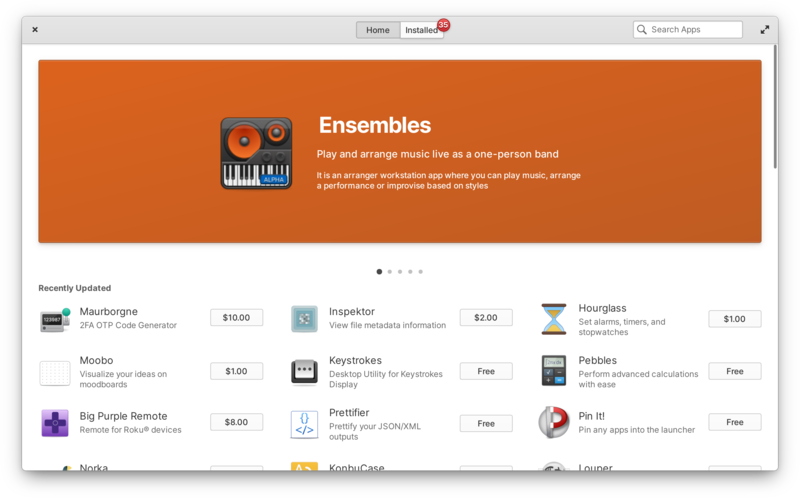 Build and release your apps for the latest version of elementary OS. Juno brings new APIs, improved notifications, a new location agent, new Granite CSS constants, new icons, and tons more. Build feature-full apps easier than ever with Gtk 3.22 & Vala 0.40. Copyright © 2018 elementary LLC.